Historic Parisian Hotel Lutetia to sell art collection, furniture, wine and spirits at auction May 19-25! 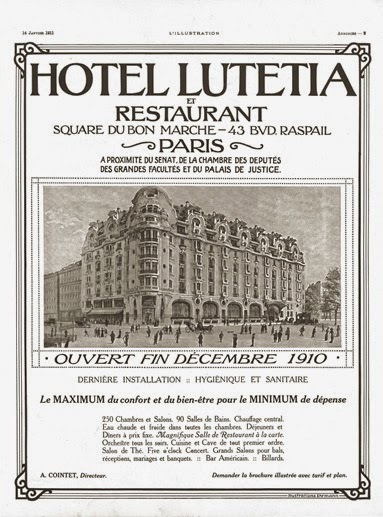 While thumbing through the Paris section of vintage advertisements at the market in Beaune last Saturday, I was very tempted to buy one proudly proclaiming the opening of Hotel Lutetia in December 1910. With the hotel scheduled to close for a three year renovation on April 14, it seemed like a fortuitous find. But since Stéphane and I were supposed to be searching for a place to eat rather than buying antiques, I reluctantly returned the advertisement to its cardboard box and went on my way. 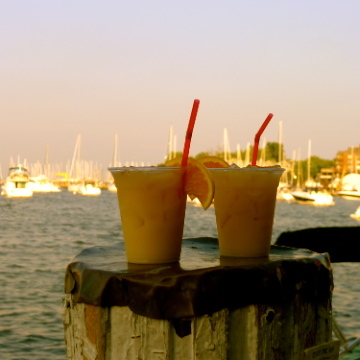 Admittedly, I felt a pang of regret for the missed opportunity when social media was abuzz with tweets and posts about the historic hotel's closing on Monday. 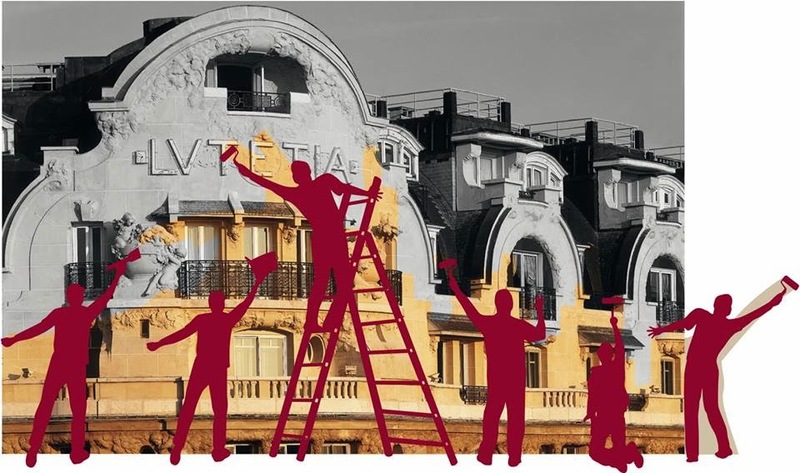 Following in the footsteps of the Ritz, Crillon and Plaza Athenée, the seven-story building with Art Déco and Art Nouveau architectural elements will undergo a massive renovation to better welcome its guests. Built by the owners of the Bon Marché, Paris's first department store, Hotel Lutetia's location in the heart of Saint-Germain-des-Prés made it a favorite spot for Left Bank intellectuals. Pablo Picasso, Jean-Paul Sartre, Marcel Proust, Henri Matisse, Peggy Guggenheim and André Gide all frequented the hotel in its early years. James Joyce wrote part of Ulysses there. During World War II, Hotel Lutetia was requisitioned by the Nazi's counter-intelligence service and used to house, feed and entertain the German officers. After Paris was liberated, it became a repatriation and medical center for people returning from the German concentration camps, prisoners of war and displaced persons. The halls echoed with the sounds of joyful reunions when the survivors were reunited with family members and friends. In the 1950's, the piano bar at the Lutetia was in full swing. Josephine Baker, the celebrated American singer and dancer, made the luxurious hotel her residence for a time and French singer Eddy Mitchell wrote a song about it, Au bar du Lutetia. If you would like to own a piece of this historic Rive Gauche hotel, mark your calendar for May 19 to 25. That's when Hotel Lutetia will sell its art collection, including works signed by Arman, César and Takis, 3,000 pieces of furniture and 8,000 bottles of wine and spirits. The items will be on display at the Hotel Lutetia from May 15 to 18. The auction house Pierre Bergé & Associés was commissioned by the direction of Hotel Lutetia to orchestrate the sale of part of the hotel's collection. “We’re just about to start a three-year program to renovate the Lutetia, but before turning this new page in the hotel’s history, we’ve chosen to use an auction house that embodies our values, Paris, and its innate sense of elegance and sophistication,” the hotel management has stated. When Hotel Lutetia reopens its doors, it will join “The Set” collection of luxury hotels, including Café Royal in London and Conservatorium Hotel in Amsterdam.